Diana joined the Encompass Health Concord, formerly HealthSouth Concord in 2012 as controller with more than 20 years of progressive financial and operational management experience. Diana joined the Encompass Health Concord, formerly HealthSouth Concord in 2012 as controller with more than 20 years of progressive financial and operational management experience. Her interest in healthcare began as a public accountant with Ernst & Young where she served a number of acute care hospitals and healthcare facilities throughout New Hampshire. In addition, she served as the director of finance for Timberland and controller for Nashua Corporation focusing on financial planning, cost containment, internal controls and operational improvements. She received her bachelor’s degree in business administration from the University of New Hampshire and is a Certified Public Accountant in New Hampshire. Outside of work, Diana is an active member of the National Charity League’s Southern New Hampshire Chapter. Christopher D. Kenny, D.O. 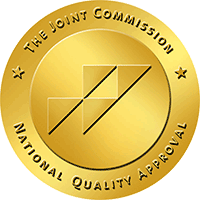 is dual-board certified in physical medicine and rehabilitation as well as electrodiagnostic medicine. Christopher D. Kenny, D.O. is dual-board certified in physical medicine and rehabilitation as well as electrodiagnostic medicine. He is a physiatrist at New Era Medicine and is the director of rehabilitation at Encompass Health Rehabilitation Hospital of Concord, formerly HealthSouth Rehabilitation Hospital in Concord. Dr. Kenny received his Bachelor of Science in molecular biology from Grove City College. He received his Doctor of Osteopathic Medicine from the College of Osteopathic Medicine of the Pacific in Pomona, California on the Army Health Profession Scholarship Program and completed his transitional-year internship and residency in physical medicine and rehabilitation at Walter Reed National Military Medical Center. Prior to joining the medical team at Encompass Health Concord, Dr. Kenny was stationed in Ft. Hood, Texas at Carl R. Darnall Medical Center where he served as chief of the Interdisciplinary Pain Management Center, chief at the Physical Medicine Clinic, officer in charge of the Chiropractic Clinic and PROFIS medical officer in the 566th Medical Brigade Defense CBRNE Response Force at Ft. Hood, Texas. In addition, he earned the Expert Field Medical Badge. He holds an active, unrestricted medical license in the state of New Hampshire. Christopher D. Kenny, DO is an independent private practice physician whose clinic is located at the hospital. Wendi has practiced in the field of occupational therapy for 24 years. Wendi has practiced in the field of occupational therapy for 24 years. After obtaining her degree in occupational therapy from the University of New Hampshire, she completed an internship at Encompass Health Rehabilitation Hospital of Concord, formerly HealthSouth Rehabilitation Hospital. This experience solidified her desire to focus her career on adult rehabilitation. Since then, she has worked in numerous healthcare settings including acute care, home care, sub-acute and outpatient. Wendi rejoined the HealthSouth team as the Inpatient Therapy Manager in 2002 and was promoted to Director of Therapy Operations in 2011. In 2018, Wendi earned her master’s in Healthcare Administration from New England College. In addition to her work at Encompass Health, Wendi is a member of the New Hampshire Stroke Collaborative, as well as serves on the planning committee for the annual New Hampshire Stroke and Brain Injury conference. Judy became Encompass Health Concord's, formerly HealthSouth Concord’s controller in 2018 and brings with her more than 30 years of experience in finance, mostly spent in a healthcare setting. Judy became Encompass Health Concord's, formerly HealthSouth Concord’s controller in 2018 and brings with her more than 30 years of experience in finance, mostly spent in a healthcare setting. She received her MBA in leadership from Franklin Pierce College and her BA in psychology from the University of New Hampshire. Prior to HealthSouth, she spent 10 years at LRGHealthcare, most recently serving as the director of accounting. Judy is the treasurer of NHMGMA and a former member of the Partnership for Public Health board in Laconia, NH. Myra joined Encompass Health Rehabilitation Hospital of Concord, formerly HealthSouth Rehabilitation Hospital of Concord in 2007. Myra joined Encompass Health Rehabilitation Hospital of Concord, formerly HealthSouth Rehabilitation Hospital of Concord in 2007 and brings more than 18 years of human resource experience in a healthcare setting to her role of human resources director. Throughout her healthcare experience and previous experience in hospitality, she has learned how to be a proactive management executive, with strong leadership skills in strategic planning and implementing policies and programs based on company oriented goals. Myra recently served on the board of directors for the Manchester Community Health Center for 12 years and is a member of the New Hampshire Hospital Association. Kate joined Encompass Health Rehabilitation Hospital, formerly HealthSouth Rehabilitation Hospital in 2000 and was promoted to the director of case management in 2004. Kate joined Encompass Health Rehabilitation Hospital, formerly HealthSouth Rehabilitation Hospital in 2000 and was promoted to the director of case management in 2004. Kate holds a bachelor’s degree in social work from Keuka College in Keuka Park, New York. She completed her internship in at Loretto Geriatric Center in Syracuse, New York. Kate is a member of the Case Management Society of New England and participates in the Case Management and Social Workers Leadership meetings of New Hampshire. Brenda joined Encompass Health Rehabilitation Hospital, formerly HealthSouth Rehabilitation Hospital in 2008 as the director of quality and risk management. Brenda joined Encompass Health Rehabilitation Hospital, formerly HealthSouth Rehabilitation Hospital in 2008 as the director of quality and risk management. She brings more than 25 years of diverse healthcare management experience including acute care and various leadership roles at WellPoint. Brenda earned her Six Sigma certification in 2005 and is known for her focus on customer service, operations and process improvement. Jean joined Encompass Health Concord, formerly HealthSouth Concord in 2018 with more than 30 years of experience in the healthcare industry. Jean joined Encompass Health Concord, formerly HealthSouth Concord in 2018 with more than 30 years of experience in the healthcare industry. She specifically spent the past 15 years working in healthcare quality and risk management. She attended New Hampshire Technical College for her associate RN, Granite State College for a bachelor’s degree in healthcare administration and the University of Phoenix to complete her master’s degree in nursing. Jean’s bedside nursing career includes time spent in medical-surgical as well as intensive care units. With an interest in health care quality and risk management, Jean spent time as a legal nurse consultant and ultimately pursued a career in quality and risk management. Prior to joining Encompass Health, she served as a risk management specialist for Beverly Hospital, and later as risk manager and director of quality and safety at Holy Family Hospital in Massachusetts. Susan came to Encompass Health Rehabilitation Hospital, formerly HealthSouth Rehabilitation Hospital in 2011. Susan came to Encompass Health Rehabilitation Hospital, formerly HealthSouth Rehabilitation Hospital in 2011 with an extensive background in healthcare marketing and administration and a degree in business administration from the University of Massachusetts. Her experience includes the design, planning and operations of healthcare facilities. She also served as president of the board of directors of one of the largest nonprofit hospice organizations in Connecticut. Known for her collaborative style, Susan builds successful partnerships and relationships with healthcare providers and community groups. Maintaining a balance between customer service and effective operations is the hallmark of her work.